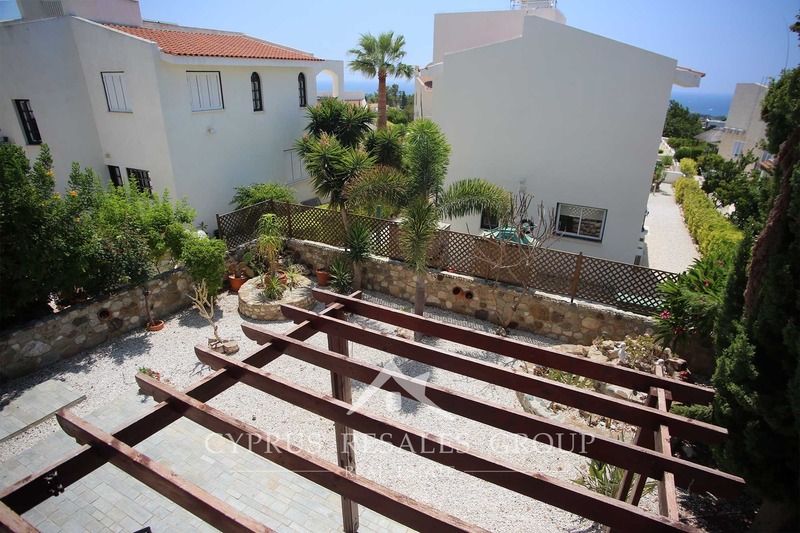 We are proud to present to you a seldom seen opportunity to purchase a beautifully presented family home in the tranquil corner of the popular village of Peyia. 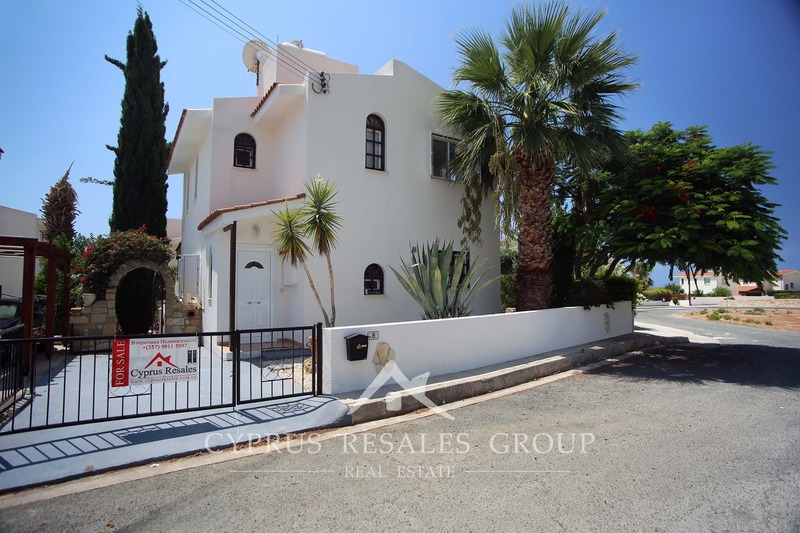 This lovely property enjoys the absolutely inspiring setting against the rocky hills of Peyia within a few hundred meters from the shops and bakeries that line the main avenue in Peyia. 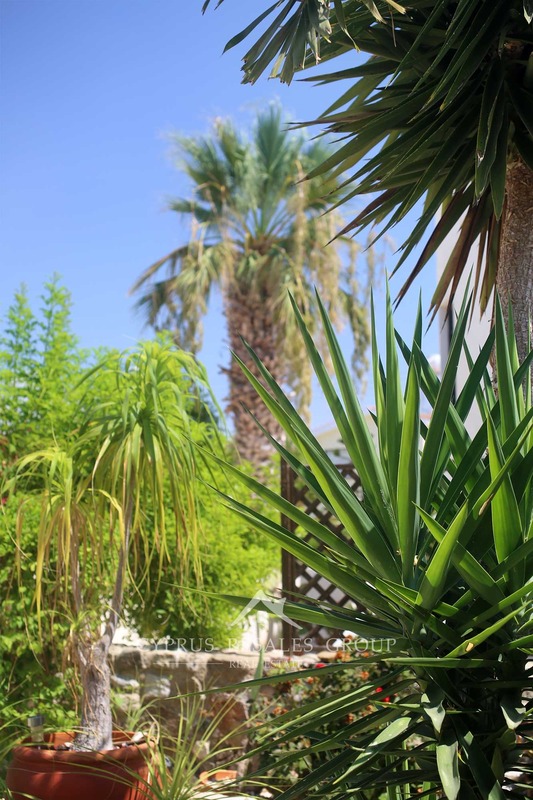 Mature gardens filled with lush Mediterranean plants and trees around the villa create numerous private spots where you can sit and relax or entertain your guests. 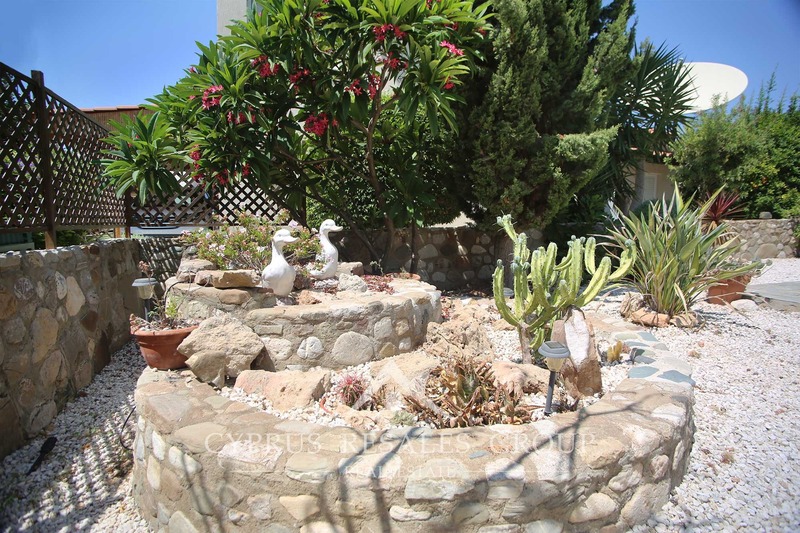 Every meter of this large garden is highly usable due to its perfectly levelled nature. 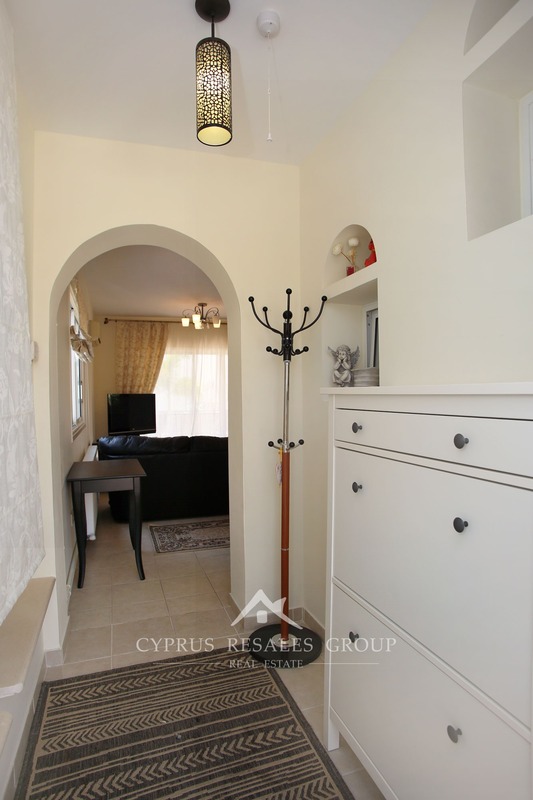 Entry to the villa lies via a tidy hall. 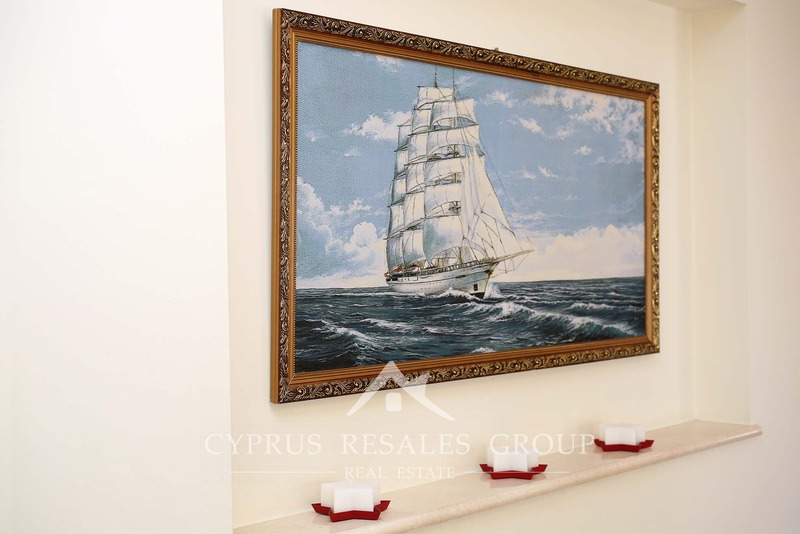 Bright and spacious interior of the ground level welcomes you and your guests. 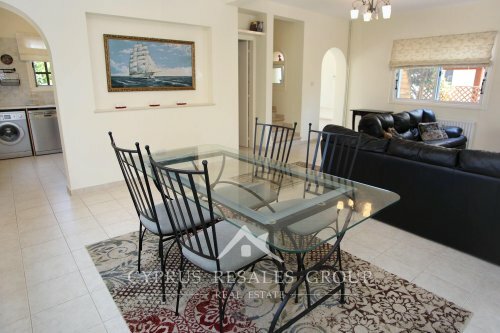 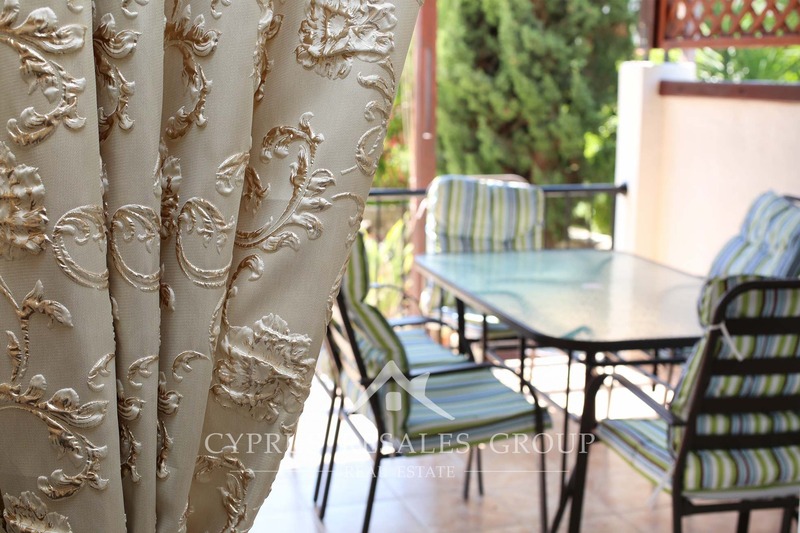 Multiple sets of windows that run around the open plan living room all look out over lush gardens with mature plants. 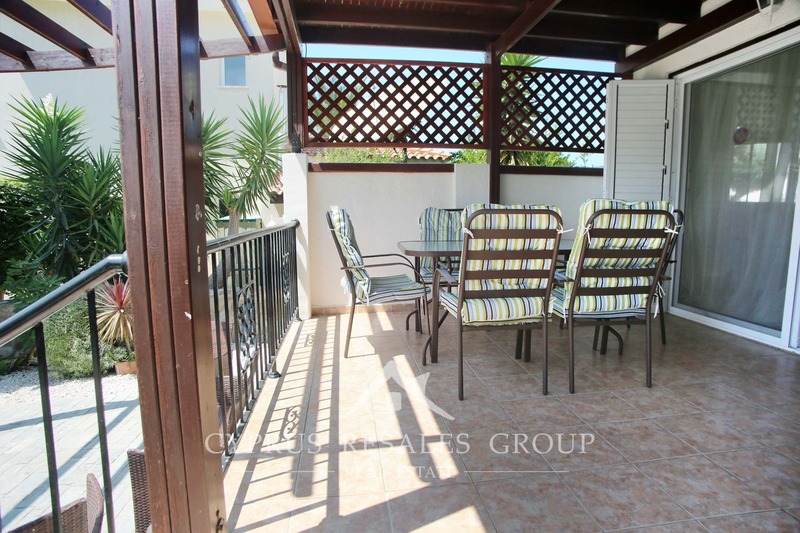 A large veranda leads into a tranquil garden. Back inside next to the dining area we find entry to the separate kitchen. 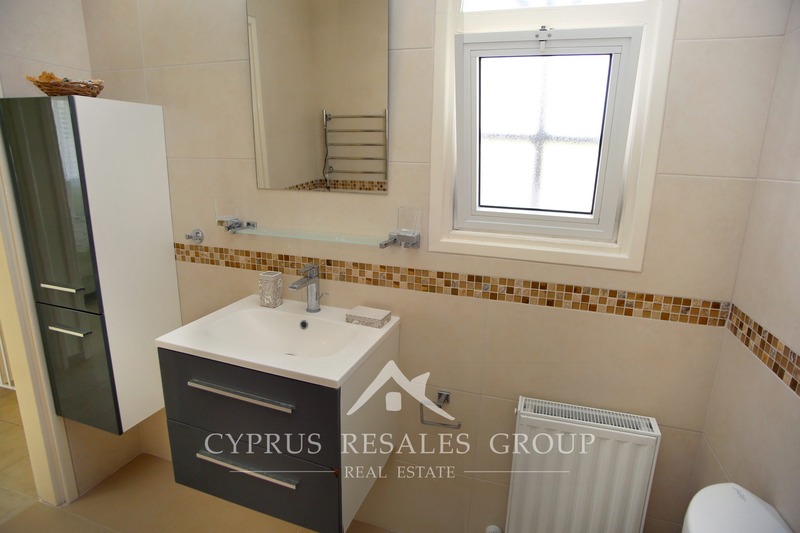 A handy cloakroom, tastefully refurbished, is located just before the stairs to the 1st floor. 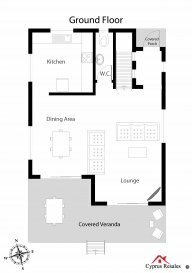 The “full family theme” is continued on the first floor where we find 3 double bedrooms, full size bathroom/shower room that has also been refurbished to a very high standard, cover the floor space. 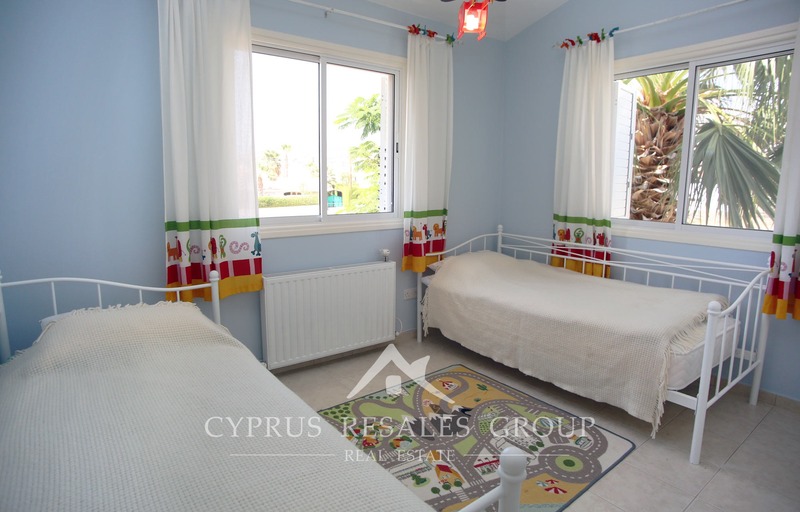 All bedrooms have ample storage and all come with unique vistas of the surrounding countryside and Coral Bay, located only 2 km away. 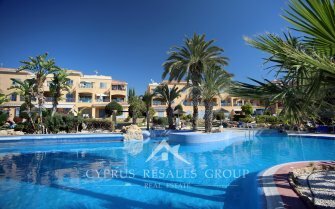 The development shares 10 x 5 pool with a huge sun terrace situated in a quiet cul-de-sac only a few meters from the front door. 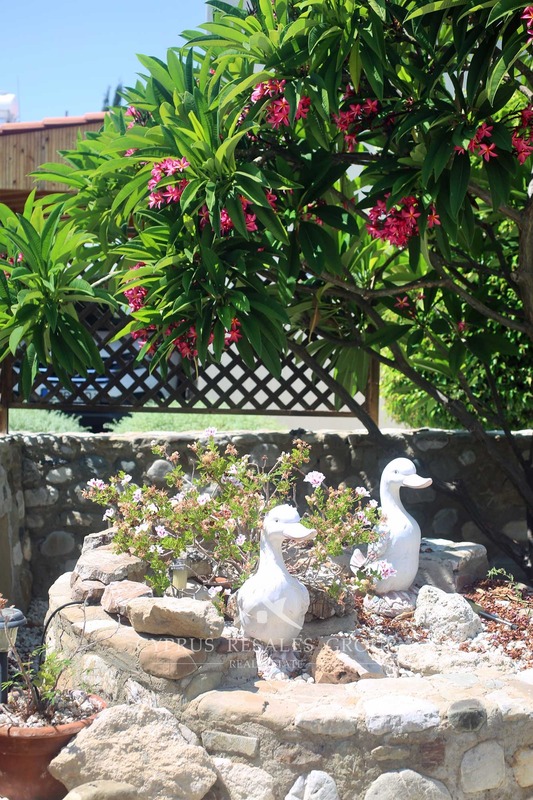 Such idyllic yet centrally located area is a rare find. 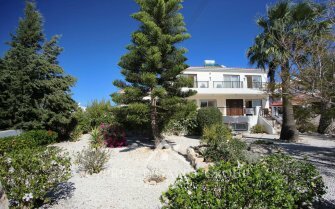 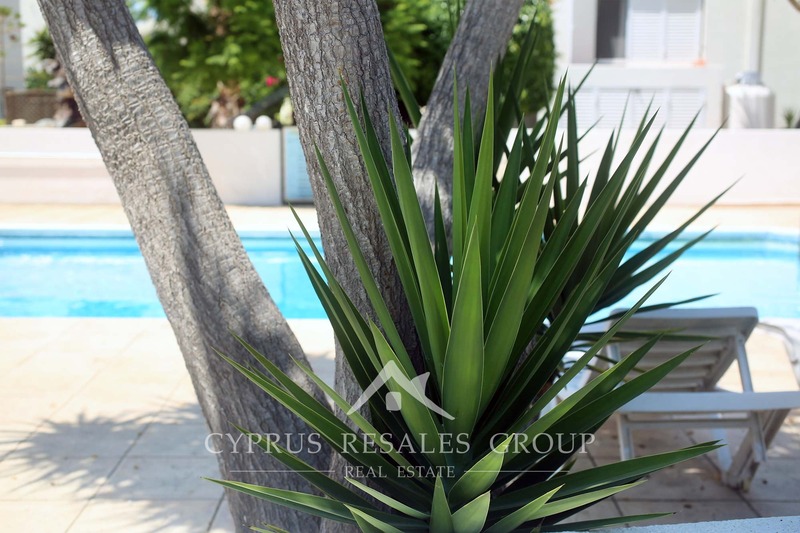 Surrounded by mature plants and palm trees this property also has space for a private pool in the back garden. 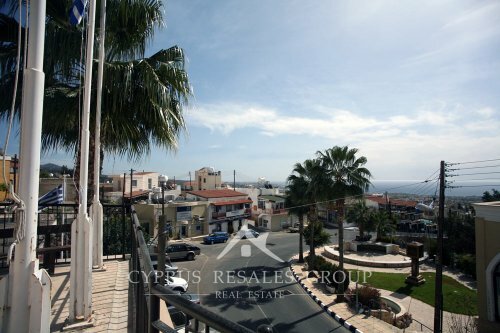 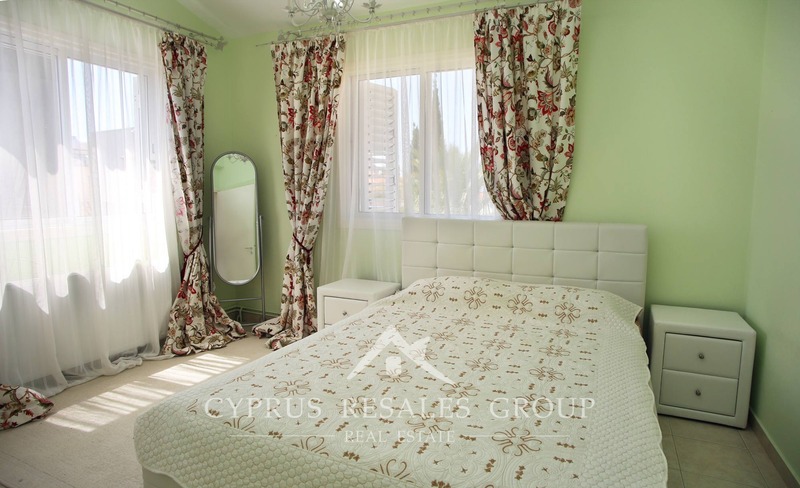 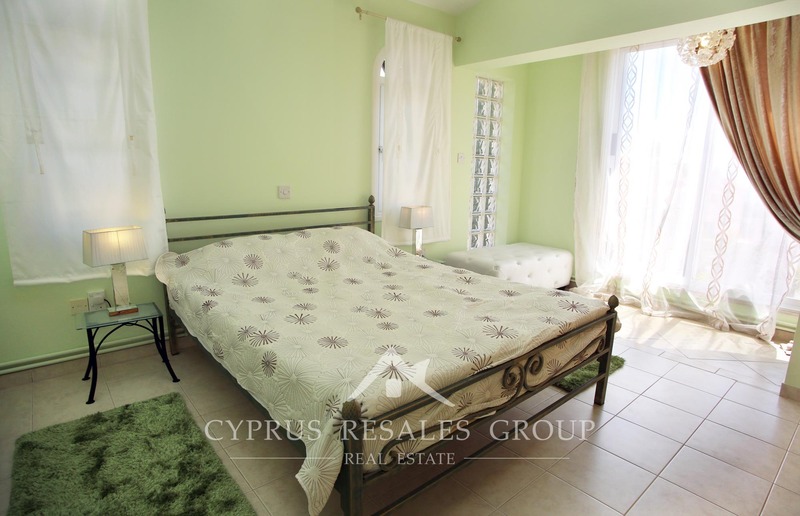 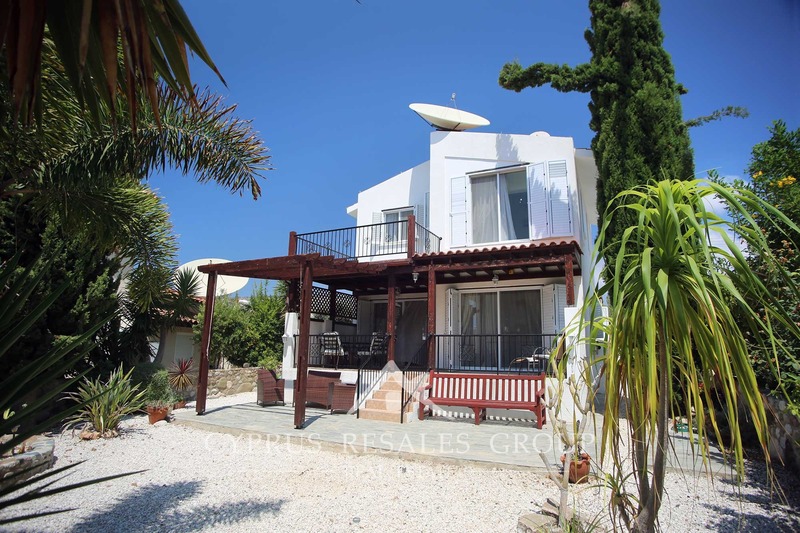 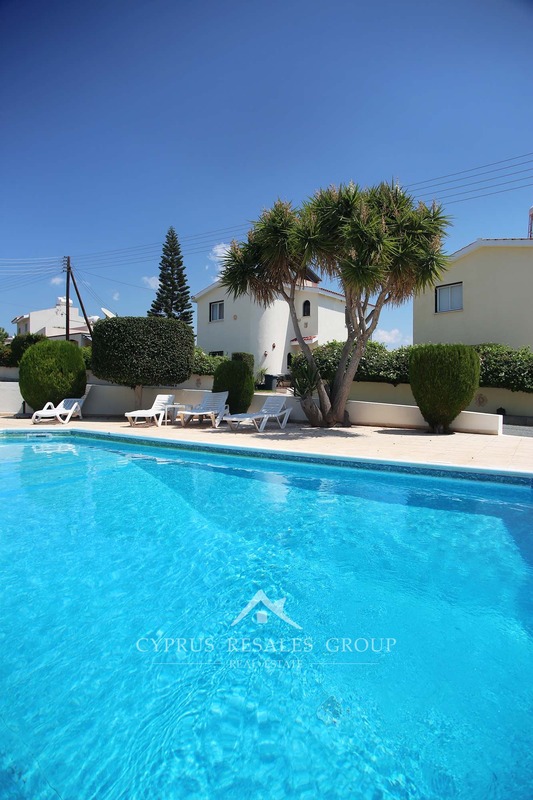 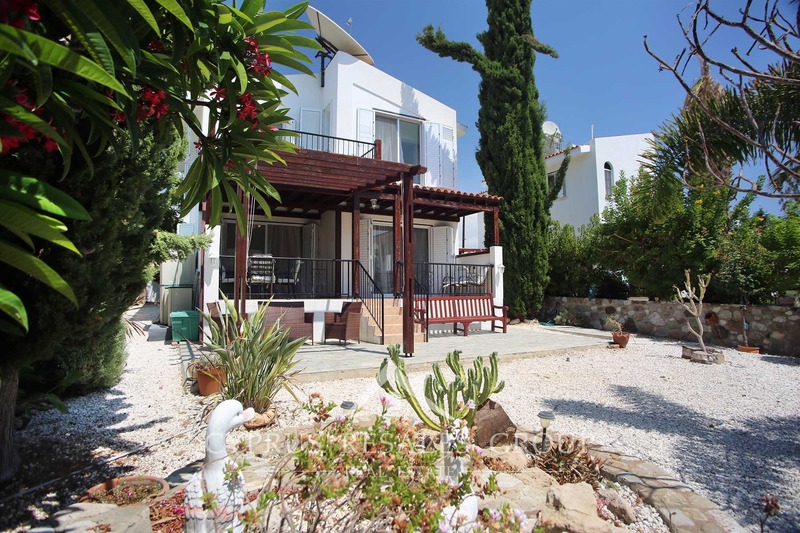 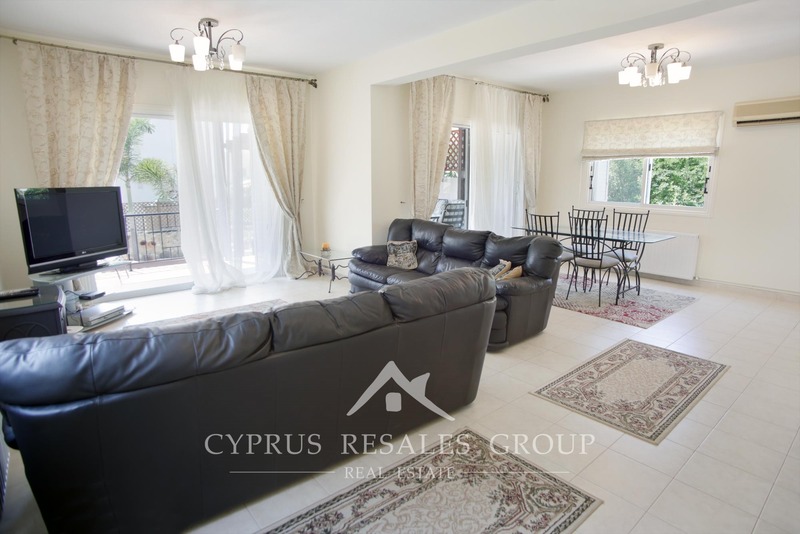 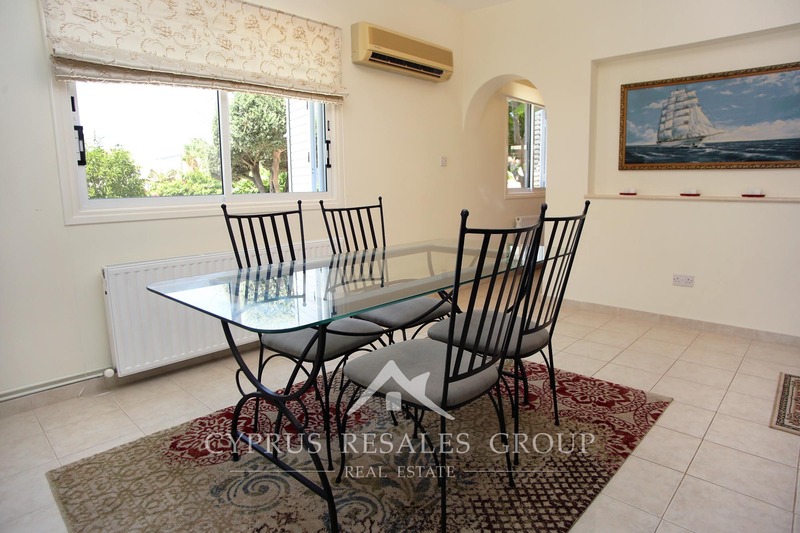 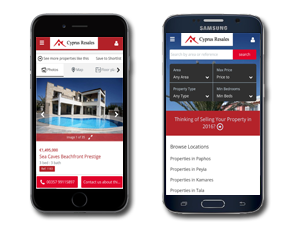 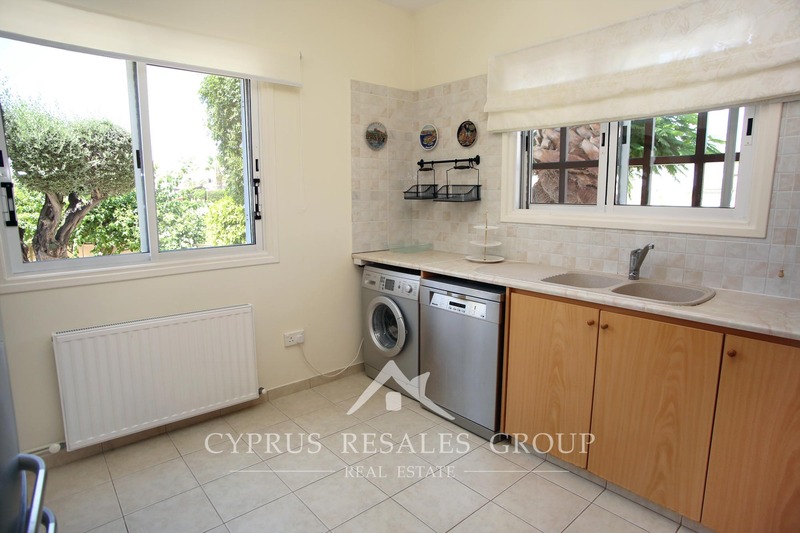 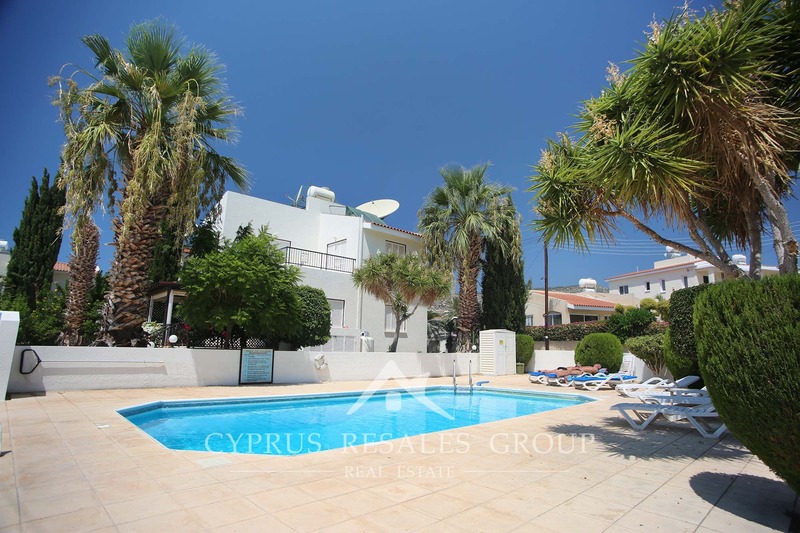 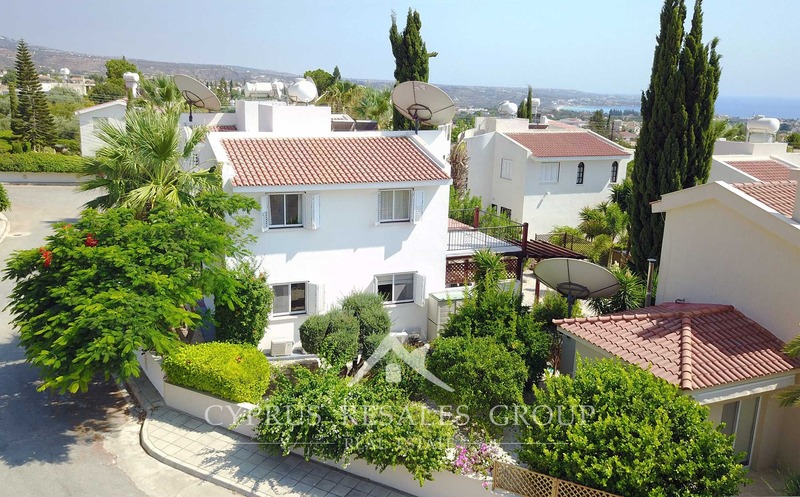 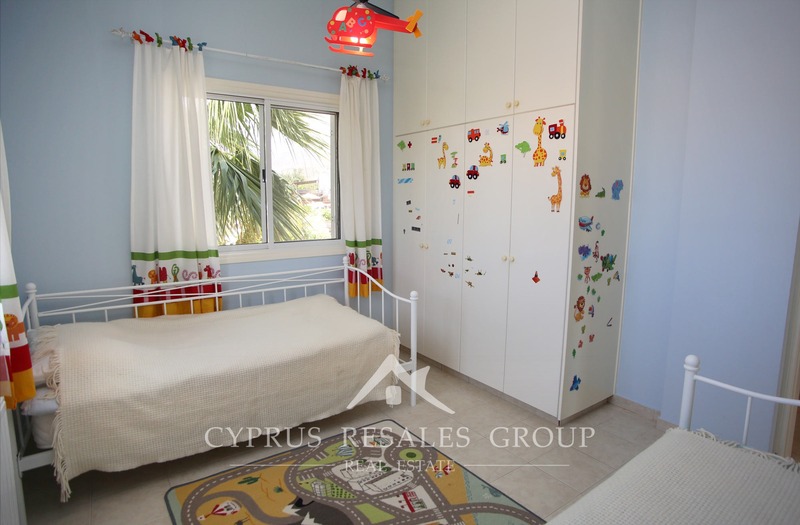 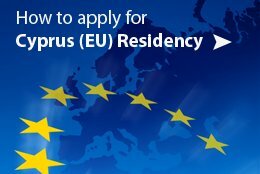 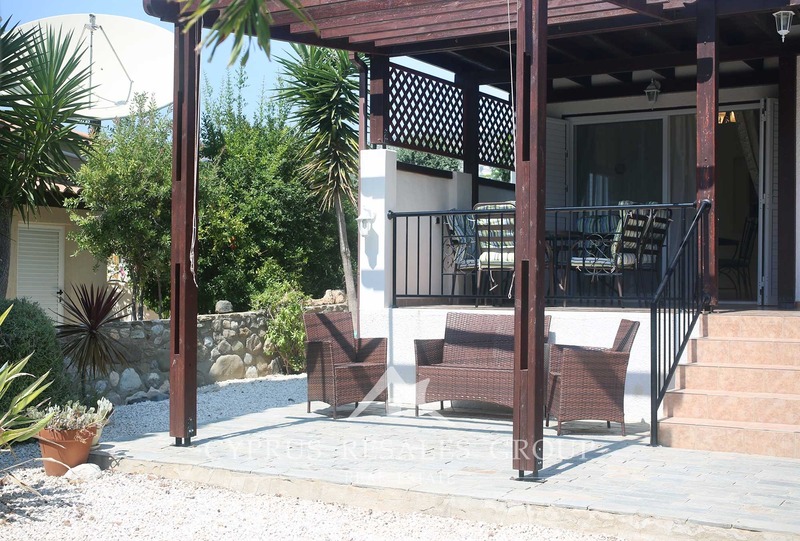 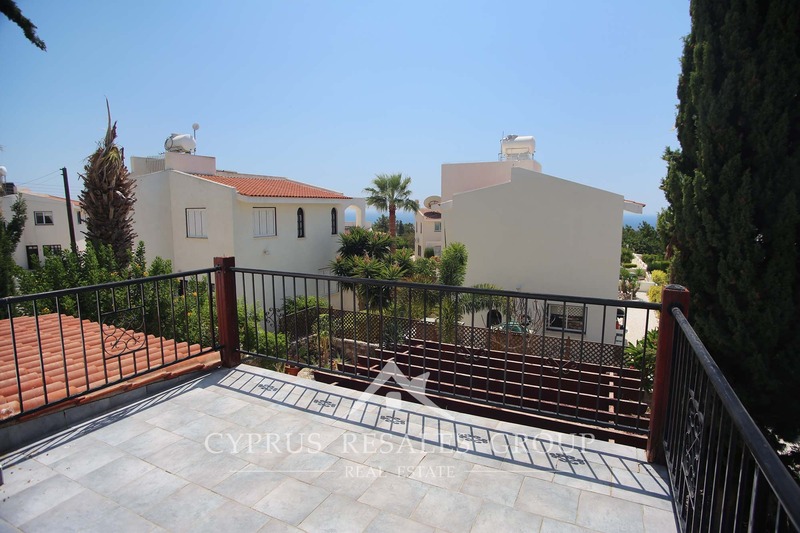 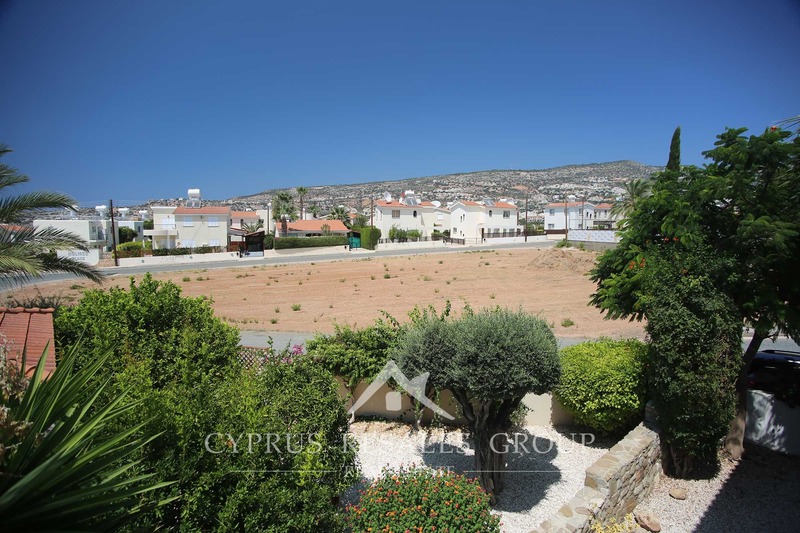 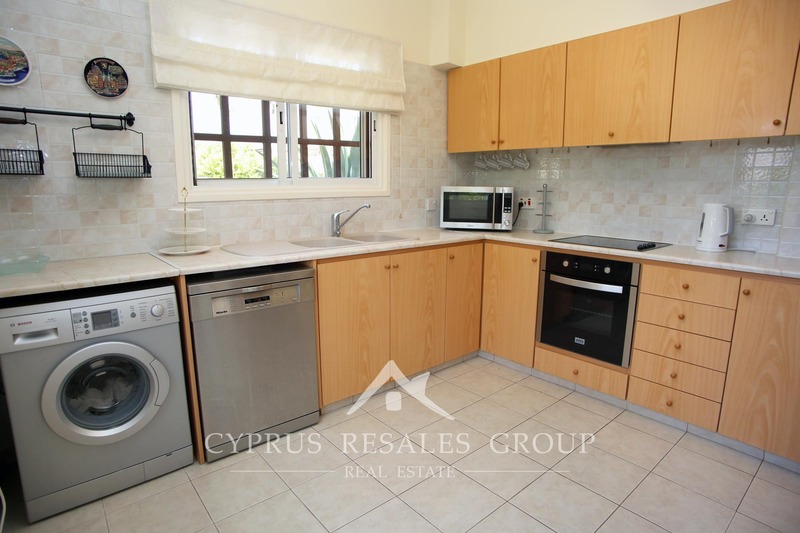 With FULL TITLE DEEDS and an excellent location with options for a private pool and ready CENTRAL HEATING this could be your perfect home in Cyprus.